abandoned her sister, Beth, when she fled her painful past and their fundamentalist church. And now, Beth believes Emmy's participation in a faith healing is her last hope for having a child. In a part of the country where the age-old tensions of cowboys versus Indians still play out, theirs is the kind of magical, fraught love that can only survive with the passion and resilience of youth. Their story is mirrored by the generation before them, who fears that their mistakes are doomed to repeat themselves in Emmy and Reuben. With Louise Erdrich's sense of place and a love story in the tradition of Water for Elephants, this is an atmospheric family drama in which the question of home is a spiritual one, in which getting over the past is the only hope for the future. 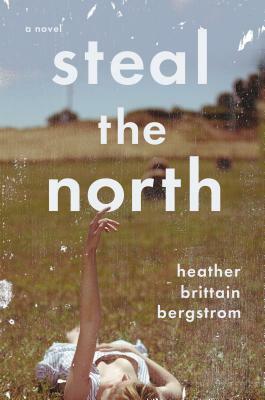 Heather Brittain Bergstrom has won fiction awards from The Atlantic Monthly, The Chicago Tribune, Narrative Magazine, and others, and a story was named a distinguished and notable story for The Best American Short Stories in 2010. Her short fiction has been published in several literary journals and anthologies. She holds an MFA in creative writing. She is from eastern Washington and now resides in northern California.